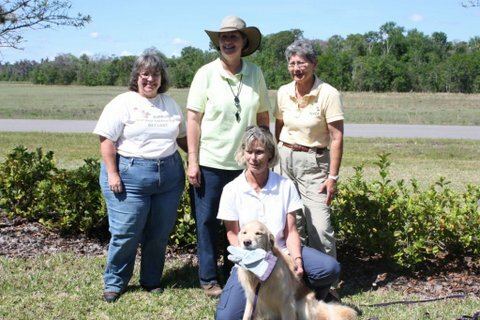 KnightDrmz Goldens was officially established in 2005. 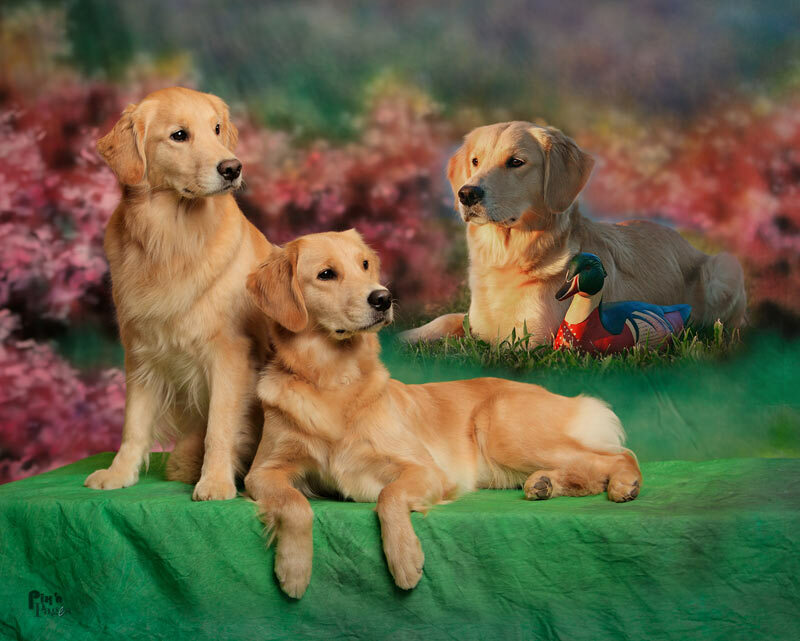 Like many other Golden Retriever owners, I had several goldens previously that were not able to get all the clearances in order to breed, but they all became permanent members of the Scott household. 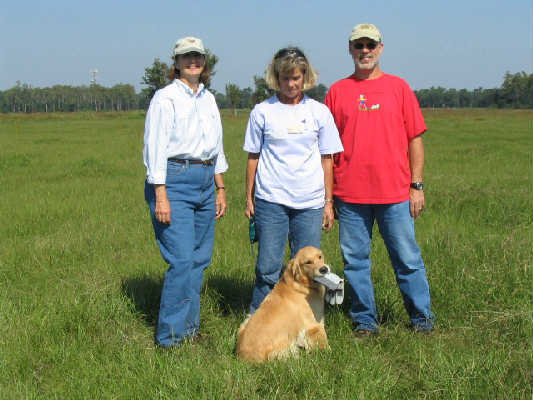 In November 2002, I was at the Ocala shows and ran into the owner of a golden I had liked for some time. I fell in love with Sony the first time I saw her at six months of age qualifying in the WC test. Sony was to be bred to the winner of the National in 2001 and 2002, Mirasol Once A Knight, Yogi. I later found out that Yogi was the most titled Golden and a beloved family member. I had four dogs at that time and I had no need for a new puppy, but, this was a once in a life time opportunity. I asked to be put on the list for a puppy. I had third pick. When the puppies were born on my parents’ wedding anniversary I suspected the puppy was going to be special. In my wildest dreams I had no idea how very special. I began visiting when the puppies were two weeks old. Each time I went, a particular puppy ended up in my hands. I would always put her back because I knew, Sony’s owner, would pick her. She was beautiful and so smart. At last the weekend came; the pups were ready to go home. I will never forget that Friday evening before we went to pick her up – the phone message said Lips was mine – a special reference to the girl who became “Deauxquest Oh What A Knight” – Frankie. The theme of the litter was rock and roll – The song – September 1963 – Oh What a Night was sung by Frankie Valle and the Four Seasons. I had goldens before and labs – none compared to the little blond girl that came home with me that day. I would show her something once, show it again – she would look at me and say – I got it! And she did. Frankie has been bred twice. Every person who came to meet the puppies in each litter - all wanted Frankie - that is how very special she is.The first time Frankie was bred, last August 2006, she had eight wonderful puppies with CH Lycinan’s Big Bang, JH, CDX. The theme of the litter, Moonlight, was dedicated to my dearest friend, Joanna Bedford who gave me my first Golden and introduced me to Golden Retrievers. Joanna’s life was cut short by Breast Cancer in June 2006. KnightDrmz was established to honor Frankie – hence “Knight” and because she is my Dream dog “Drmz’. A repeat breeding with “Bang” was in January 2008 and all the pups now have wonderful homes.